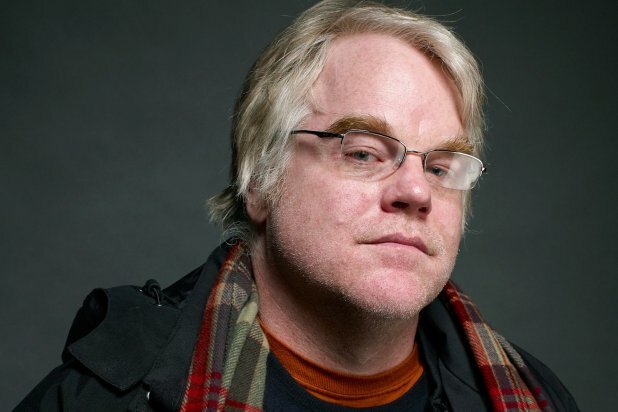 The morning I discovered 46-year-old Phillip Seymour Hoffman was dead just about killed me, too. I loved the man. His talent was in his diversity – he could play so many different roles so convincingly it was small wonder that his name became box office gold. What I didn’t know, and probably millions of Hoffman fans, was that the man struggled with a 20-something year heroin addiction. Most likely he had several friends who knew of his drug use and tried to help him overcome it. Alas, it was not to be. Heroin however wasn’t truly what killed him. It was laced heroin that his “friend” Robert Vineberg, sold him a batch of laced heroin without telling him. 73 bags to be precise. Naturally he insisted he had no idea the stuff was laced. He ran out of the usual stuff he and Hoffman did together so he acquired it from an unknown source. Vineberg knew it was laced. Hoffman did not. Now Hoffman is dead. Vineberg faced 25 years in prison for the death of his late friend and deportation back to my own stomping ground, Canada. Not something to be proud of, to put it mildly. Guess what he got? The s.o.b. copped a plea deal and walked away with rehab treatment, 25 days in jail and 5 year probation. Seriously. He even had the nerve to make the victory symbol to photographers the day he walked out of court. Vineberg is a jazz musician who plays saxophone and keyboard with his blues band Adventures in Bluesland. The week after his release from court, he performed at B.B. King’s club. 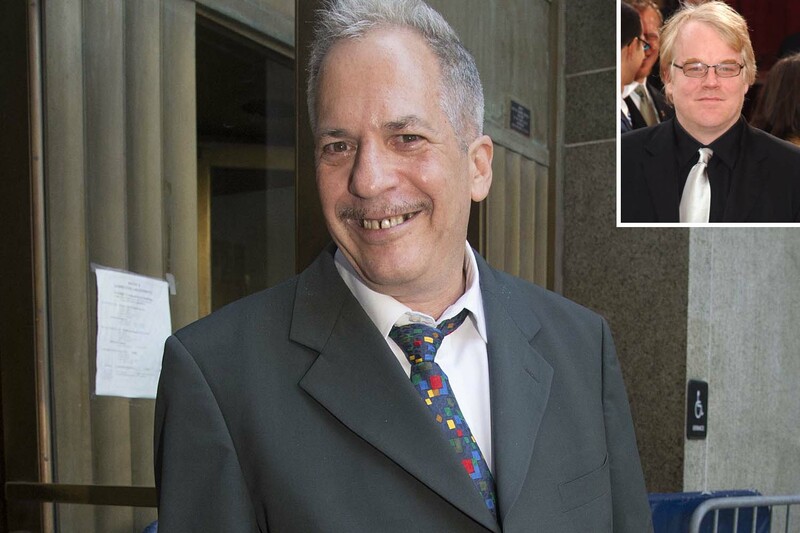 Clearly, the creepy musician managed to retain serious legal representation in the form of bail bondsman Ira Judelson, who calls himself The Fixer. How could anyone buy Vineberg’s bull about not selling Hoffman the dope and believing that “they were close friends who would help keep each other clean.” No one will pay for the loss of a great actor and no doubt, decent human being with a loyal family and circle of devoted friends. 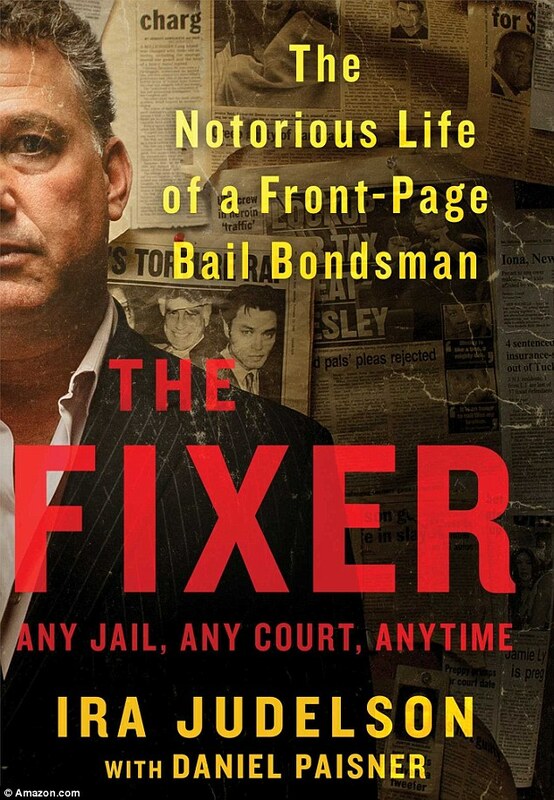 Judelson penned a memoir wherein he stated, If the client does a runner, the bondsman loses his fee and could be responsible for the full amount of the bail. The fee in New York is a 6-8-10 percent structure; the higher the bail the lower the percentage. ‘It’s like a blood oath, because if you f*** with me, you f*** with my living. You f*** with my family….‘I might be the only person keeping you from getting sucked up in the injustice system. I know who to touch for a favor to make sure your time inside goes easy, which judges might let you slide and which ones have zero tolerance….‘I have a direct line to white-shoe lawyers who’ll work pro bono… and I know the cops and the DAs who believe in second chances. So yeah…I guess I’m a macher. It’s my job to make things happen. It’s my job to get you out of jail’. Apparently Judelson, whose cover picture looks like a caricature of a fat, middle-aged, grey-haired Mafioso in a grey, pin-striped suit that fails to hide his huge belly, and in spite of appearances, talks like a mincing ponce, doesn’t have a problem f***ing with Hoffman’s grieving family. Vineberg’s victory is a mockery of Hoffman’s murder. Just another dead junkie. To bad, so sad…buh-bye. Sorry..I know the grammar Nazis are out there..’too bad’ feel better? It was spelling, so you just look like even more of an idiot now.